Eve, the robot scientist based in the University of Manchester, has discovered a compound that can help in fighting malaria. Eve found that the drug compound inhibits a key molecule known as DHFR in the malaria parasite. The undisclosed compound was previously known for its anti-cancer properties. 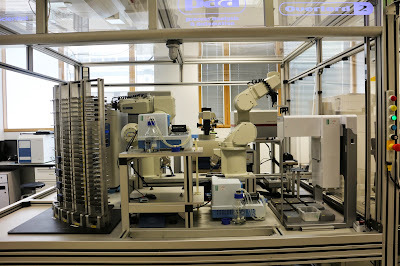 The development of robot scientists is the next step towards automation in science. With the proper artificial intelligence, robot scientists like Eve can explain observations, develop and test hypothesis, run experiments and interpret results. They can also record scientific knowledge as they can directly interface with computer based lab equipment. As stated in the paper, The Automation of Science, science is based on the hypothetico-deductive method and the recording of experiments in sufficient detail to enable reproducibility. With the advent of robot scientists like Eve and its predecessor, Adam, scientific discovery is evolving with the automation of both. Professor Ross King, from the Manchester Institute of Biotechnology at the University of Manchester, says: "Every industry now benefits from automation and science is no exception. Bringing in machine learning to make this process intelligent - rather than just a 'brute force' approach - could greatly speed up scientific progress and potentially reap huge rewards."